All I remember was, one 28th-of-June day, a long time ago, when hubby said he loves me after a gig, I didn't immediately respond with a positive "YES I DO LOVE YOU TOO!" Instead, I was trying too hard already to bottle up my feelings for him inside, because of fear of what I was going to get myself into and if he was for real. I knew I felt the same way, and it was just a few hours of making "pakipot" until I gave in. Hahaha! Few hours lang pala ang paghohold ng feelings ko! So there, at the end of that momentous day, I said the magic words. 2006 still friends and band mates, Mocha Blends, San Juan, MM. We were starting to date, taken during my birthday celebration at home. Then BOOM! We're now Forever-Years together and still madly in love each other even if we have kids in between, a household and budget to manage,careers to take care of, a professional band we play in together, some healthy fights we went through and trivial habits we learned to accept How did we do it? We prioritize each other's happiness, needs and gave importance to time. If budget permits, we do go out on a date. If it's tight, we have fun simply watching downloaded films at home. To you Mahal, my partner in life, my bestfriend, my crush, my boyfie, my drinking buddy, my business partner, my band mate, my housemate, my everything, HAPPY FOREVER ANNIVERSARY! I love you then and I love you more and more now! Cheers! Up next was a movie date. Mahal na pala talaga ang sine ngayon! hehehe! Minsan lang naman. 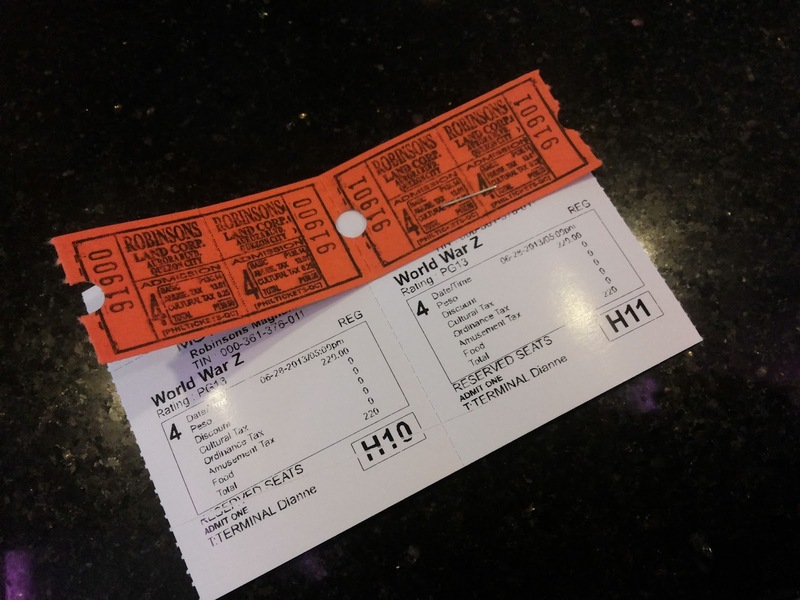 We watched "World War Z" at Robinsons Magnolia Movieworld. We watch movie on the big screen if the movie is really good such as this! :) It was worth every peso shelled out. Lastly, because na-stress ako sa movie, we headed to a nearby spa. We always go together when we have massages. Although we choose a VIP or couple's room, we still want to put a curtain between us. Weird noh? hehe! The Lime Body Care Family Spa is located along Aurora Blvd., Quezon City. My masseuse was good in fairness! I will also tell you more about their services in another dedicated post. So again, remember to keep the fire burning between you and your spouse/partner. Make sure you take some time out to celebrate important occasions be it at home (by cooking a delicious meal or watching your favorite movie) or if budget permits, out on a date. Then, don't forget to put the kids to DEEP sleep if you're going to make some "action!" If you know what I mean! 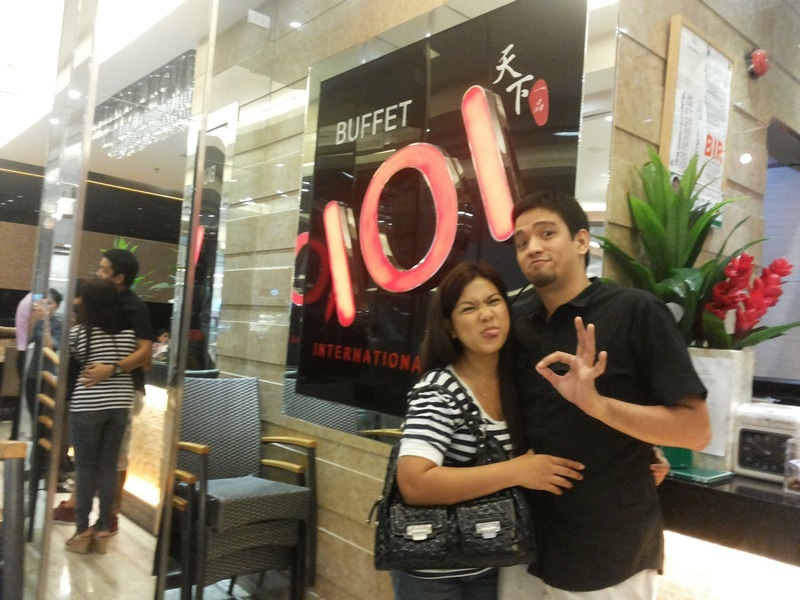 Happy Anniversary to us (binati na lang ang sarili!) How about you? How do you celebrate your anniversary?